‘The additional five per cent Value Added Tax (VAT) on wines imposed by the Maharashtra Government has affected the sale of wines in the state. This has brought the total VAT on wine sales in the state to 25 per cent. S G Chougule, Chairman, Indian Grape Processing Board and Chairman, Chateau Indage, has admitted that sales volumes have fallen 60 per cent since September 2008’, it was reported by hospitalityBizIndia.com. Addressing the 15-member Board, he reportedly said, “Small wineries are in a particularly bad shape and they will not be able to crush any grapes in the 2009-10 season or they could crush but would not be able to pay contracted rates.” Most of the wineries in Nashik have threatened to stop buying grapes from farmers during the next grape season as they have accumulated stock of unsold wines due to the hike in VAT, says the report. If one were to believe the above statement to be true, it would be a shameful state of affairs and one can objectively comment that the Board is beginning its task on the wrong foot. It would also be ironic as the VAT which Mr. Chougule projected as the villain, has since been reduced to 4% which means that the monkey is on the industry’s back. The sales should come up fast and we should soon be seeing smiling faces all around! It is true that the sales of Chateau Indage, now Indage Vintners have come down by 60% (the figures supposedly given by Mr. Chougule). But the reason for the drop is certainly not VAT-which incidentally has been increased only for 3 weeks in July and is paid by Grover Vineyards and every out –ofMaharashtra state producers along with the 150% extra excise duty which the state producers have been gleefully watching and accepting all these years. Sula, the number two producer, has been consistently improving upon its sales in the meantime and has had the vision of anticipating the vagaries of recession and immediately put its house in order. Similarly, whatever shortfall in the production Grover Vineyard, the hitherto no. 3 producer suffered, was due to some quality issues last year and it seems to be already on track, hoping to achieve 25% growth this year. While it is true that smaller producers have been facing problems and these are being passed on to the contracted farmers, it was only 2 years ago that Mr. Shyam Chougule was personally visiting Nashik farmers to convince them to give their grapes to his company (I was visiting Nashik at that time) but the farmers were rather smug as they were riding high on the increased demand from the new wineries who could not cope up with the increasing demand. About 4 years ago when I visited Nashik, the grapes were selling at Rs.22-25 Kg. The same farmers were asking Rs. 35-40 for the same varietals, 2 years ago. It was a question of supply and demand, contracts be damned. It appears the vintners are getting ready to use the Indian Grape Processing Board platform to demand an indirect subsidy for wine as a product! How does Mr. Aher or the Board expect the government to use the 25% wine which is unsold? I wonder what Mr. Aher’s comments would be, now that the VAT has been decreased to 4%. Incidentally, I whole heartedly support it; wine ought to be treated as a food product and taxed at a uniform 4% throughout the country. The quality issue notwithstanding (there would be other times to talk about it) wine marketing is equally important-like any other product. Seemingly, Indage has gone into trouble due to its cavalier marketing policies and the possible accounting juggleries. Sula has been riding high due to the marketing acumen of Rajeev Samant. Grover has built up a strategic alliance with Brindco which is primarily a pan Indian marketing company. In the most established regions in the world, the growers stick to growing grapes and build up years of solid working relationship with wineries; there can be co-operative synergies both in production and marketing (co-operatives are all-powerful in Italy- but this strength comes from the government laws and financial aid- and this would be one area the Board could later be looking at). Many wineries including Indage are known to have shown inflated production figures taking wine in the tanks as the final product. I have always questioned this policy. After all, until it is bottled and sold (at least bottled!) it can be only work in process. After all you need the empty tanks for the next year’s harvest. If not bottles, sold and consumed, it is a worthless product-practically. And this folly is finally catching up with them. The producers ought to get together through the Board and work towards opening the market, which at a miniscule one million case is too small. To that end, several innovative strategies can be put in place and that is where the Board can be a handy vehicle to use to propagate wine. Occasionally, I meet Mr. Praveen Gupta, the GM of APEDA, who shares his frustration about wine producers with me. 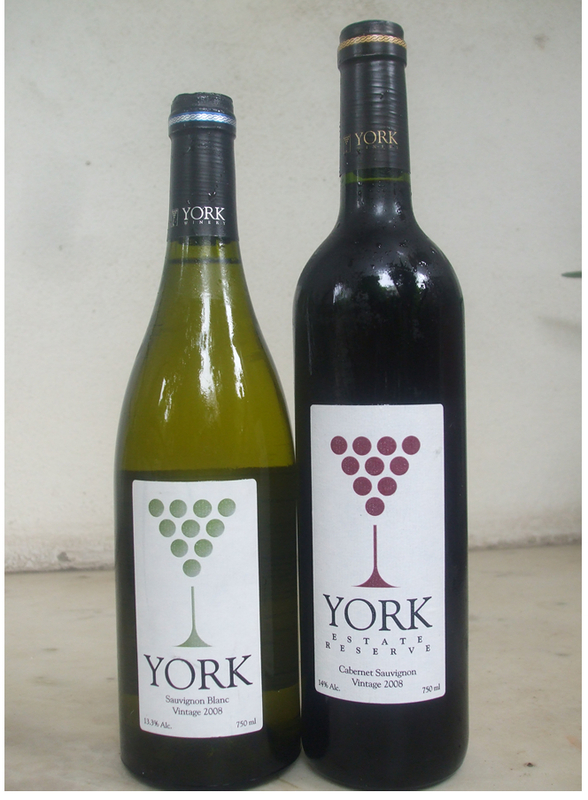 ‘We are willing to help the producers to showcase their wines abroad. We offer to ship and showcase ourselves at our costs, provided they give us the samples. But despite our repeated follow-ups there is zero response and they come to us only when they have a specific problem,’ he says. Unless they export their products increasingly, the quality improvement process will be slower and any increase in the market may be gobbled up by the bigger wineries like Sula, Grover and Indage- when it gets its house in order. Next year there are Commonwealth games. There is no mention or talk of any planned and concerted move by the producers of the Board-which is too young to have taken any positive action so far. They ought to be working with the tourism ministry to showcase their wines as much as possible to boost the tourism and the wine industry in general. South Africa on the other hand, is hosting the FIFA World Cup next summer and has been already going all out to showcase its wines at the games. A sincere suggestion to the Board and its members- please stop whining and being dependent on the government and use self regulation as much and as far as possible instead, use various channels to open up the market and keep the imported wines at bay by working in a competitive environment and boldly competing with them on quality and price fronts.